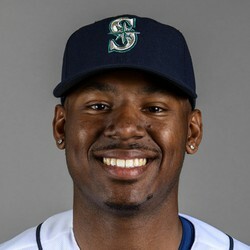 Seattle Mariners outfielder Kyle Lewis, the 11th pick in the 2016 MLB draft, will miss the remainder of his first professional season due to a serious knee injury. It is sad to see someone who just started his professional career suffer such a major injury. In most dynasty leagues, Lewis was being looked at as a prized possession. Recently graduating from Mercer and winning Baseball Americaâ€™s Player of the Year honors, Lewis was hitting .299 (35 for 117) with 16 extra-base hits, 26 RBIs and a .915 OPS in 30 games with Everett.